Green Age Project was launched in January 2008 for the purpose of contributing to preserve green earth for our posterity. We manufacture Oshibori (wet wipes) made of 100 % environmentally friendly materials that can be decomposed in the nature within 3 months. Green Age Project donates a part of the oshibori’s sales to Keren Kayemeth Lelsreal-Jewish National Fund (KKL-JNF) that has planted more than 240 million trees in the dryland of Israel since 1901 and shares its world-leading techniques with many countries suffering from desertification in all over the world. 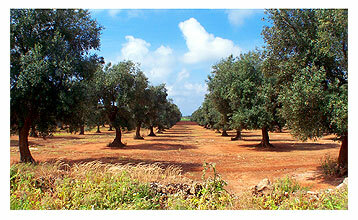 When you purchase 1 case of GAP oshiboris, an olive seedling will be planted in the dryland of Israel. GAP has planted 125 olive seedlings so far. What we are doing may be a tiny step. However, when we keep doing it and stepping forward, our contribution can create another forest that possibly nurtures many lives in the future. *Olive means ‘eternity’ in Israel because it is prohibited to cut it down by the law. That means the olive trees planted through your donations will live in Israel almost eternally. Green Age! Project is donating a part of its sales to the Israeli National Greenery project to preserve green earth for our posterity. Copyright © Green Age Project！グリーンエイジプロジェクト All Rights Reserved.